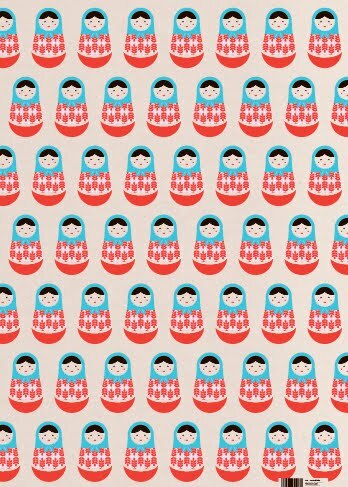 I love all the colorful wrapping papers of NineteenSeventyThree...especially their russian doll paper (and their owl paper)! wow i own this and am going to frame it but didn't know who made it! sweeeeeet! i love the vintage feel of it too... and jennifer, that is so fun that you have this paper. I agree, very framable! Jennifer, I own this too and hadn't realized! I got it from a tiny paper store in Maine--really glad to know there are other colorful and frame-worthy designs!